Im not usually a fan of Caribbean restaurants. The food is usually greasy and oily, poor quality and just not as good as my nan’s. I am yet to be impressed by any commercial chains, the occasional family run place sometimes, but Rum Kitchen has left me wow’d. For a little celebration and catch up during December the girls and I visited Rum Kitchen, just off Carnaby St in Kingly Court. 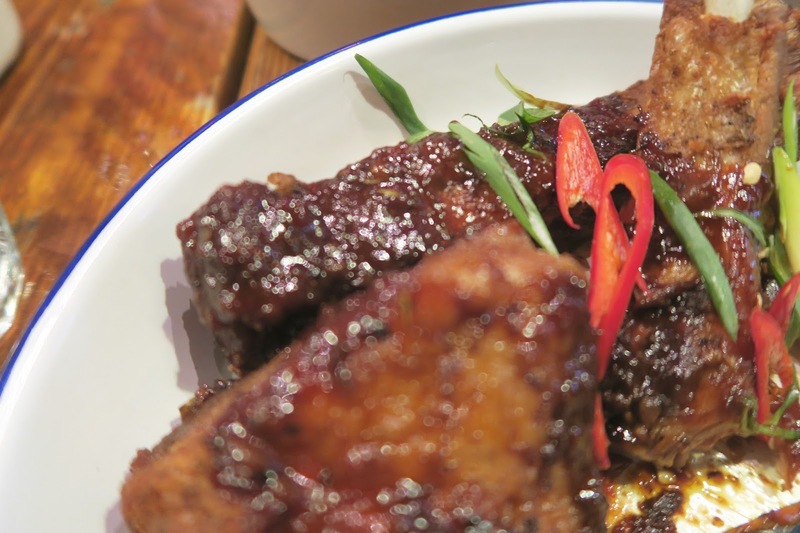 The menu is small but impressive and after choosing the ribs, I was eagerly awaiting the arrival of my food. Now, for drinks, I’m more often than not all about Diet Coke, but when I see cocktails I am easily lead astray. Yup, at 2pm I was drinking rum punch but can you blame me? Yup, by 4pm, I was slightly drunk. If you enjoy cocktails that are sweet and not too strong, then you’re gonna love this place. I was knocking back this punch as if it were water and I have absolutely no regrets. With my ribs I ordered, rice & peas and coleslaw and it was honestly, beautiful. The rib meat was spicy but slightly sweet, it fell off the bone and was super super chunky. I can’t stand skinny ribs (no discrimination intended). The rice and peas were coconutty – full of flavour! The coleslaw, creamy, crunchy and cooling – the perfect addition and contrast to the rest of my meal. Its 11.17 as a write this and I am yet to eat breakfast 🙁 I’m salivating. The staff were witty, funny & friendly. The atmosphere buzzing and electric. The music was also pretty awesome, I was definitely transported to Jamaica or some other Caribbean Island. 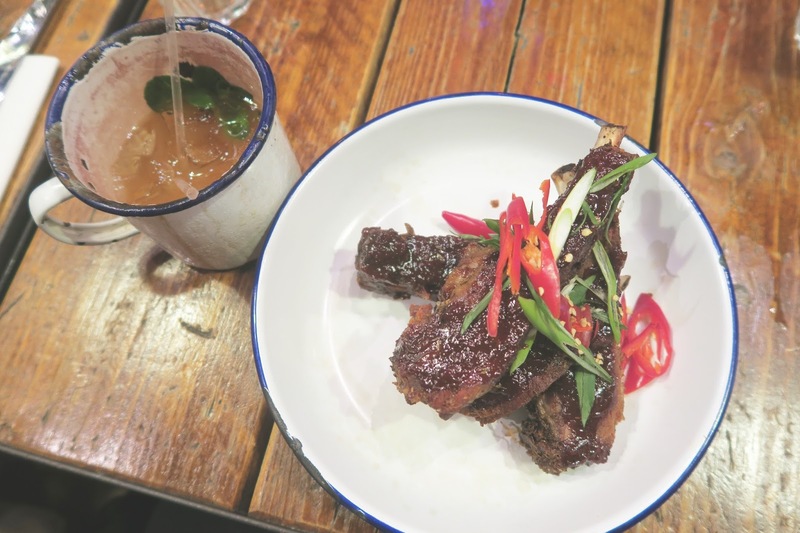 I would 100% come back to Rum Kitchen – my taste buds were thoroughly tantalised and my bank balance is still intact, Perf! food looks amazing! i loooove a good plate of ribs! These sound awesome! 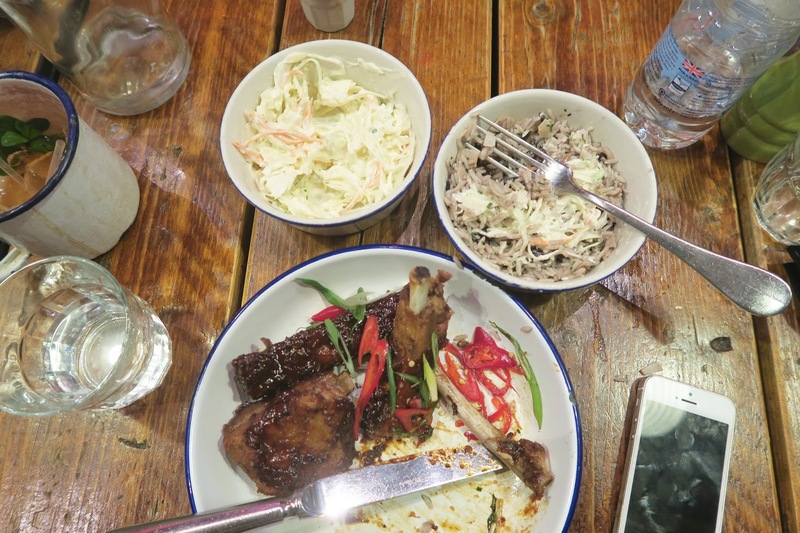 I've been there once and loved it – I had the jerk chicken salad which was so tasty! Caribbean food is amazing. You just need to taste it from the right place. Wow testy yummy food i like very much its very nice recipe thanks fro sharing! fire fighting training courses in chennai|fire fighting training| fire fighting course|nebosh igc training in chennai|nebosh safety course in India keep posting. IF YOU NEED A REAL SPELL CASTER PLEASE CONTACT DR AMADI SOLUTIONS HE IS A GREAT MAN He brought back my ex within 24 hrs when others spell casters failed just using this post as a testimony and to tell people that there are still Real spell caster out there . if you need his help in any way be it LOVE SPELL …SPELL REMOVAL……..GOOD LUCK……do contact him directly on E-mail:amadisolutions@gmail.com Thank you all.